We are all customers in some of the other ways. Even if we are into selling off some stuff, we are still a customer. The retail sector today is already facing many issues in getting the customers engaged, not just for one time but even for the repetitive purchases. The buyer’s market is always asking for new and innovative features and the comfort zone for their several purchases. In this process, the large and multinational organizations don’t face any unprecedented challenges, but the small entrepreneurs and the small retail shop owners do face issues in getting a single or multiple customer engagements. The expectations from the customer’s base are increasing day by day, and they want innovative products every minute and with diversified varieties and ranges. Numerous factors determine the acceptance of new services from the different audience point of view. However, in today’s market, people are growing swiftly towards the technology and its advancements. Even ordinary people are turning tech-savvy day by day. Technology acceptance is boosting new technology utilization by applying the precise messages. The logical framework and original business model based on new technology adoption is moving fast and has become trendy. A system appears to be simpler to will enable more system usage and is more liable to be accepted by users. In the context of innovative technologies introduced in the diver marketplaces, people may find services edgy when the system is not trouble-free to become skilled at and effortless to use. In that case, the retailers and the shop owners have to emerge themselves into a digitalized shop or a business which are easy to be adopted, used and get trained on. Also, they need to save their business from their competitors and other multinational companies. 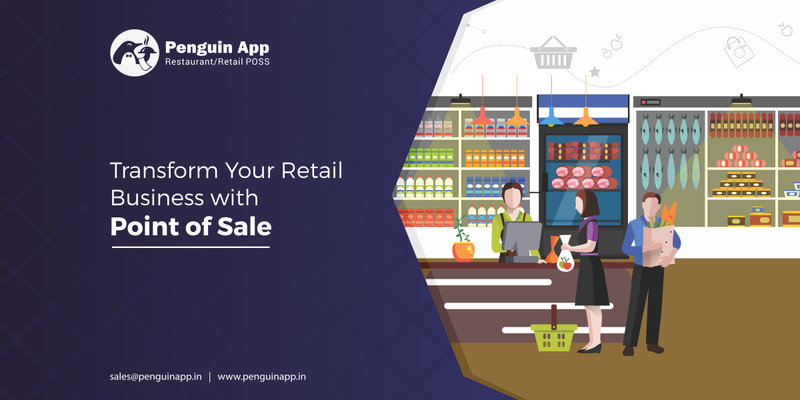 Growing up with the Point of Sale and other retail billing software is the correct and the accurate way to emerge in this digitalized industry, to attract more customers and to save the business too. Not just POS is helpful to customers in loads of ways. With this blog, you will even find how POS customer engagement can transform the retail industry and businesses. All hail modern technology. The cloud-based POS system has made everything easy for the customers as well as the retail and shop owners. The daily tasks and its efforts have been decreased to its core to both sellers as well as the buyer. Professional business doesn’t only mean about the cash flow and stock, but also about the all-around optimization and all the processes such as tracking all the system input from various access points, implementing the reservation system, unification of multiple channels, developing customer loyalty, and connecting with multiple applications and software. I absolutely know, that you might be feeling low just because you cannot afford to undermine the investment due to lack of information, don’t worry, you are no exception. Luckily, your retail POS billing software or the Retail POS billing software system has all the necessary data you need. It is the most trusted device or the software when it comes to generating reports and data. These retail POS billing software will help your accountant’s to avoid making mistakes, and it would cut the cost as well. A retail billing software or the POS system can be used as a PR and an HR specialized tool or a platform. Just like I already mentioned retailer could connect to a variety of platforms, and various other mobile applications or the software. Hence, you can advertise, plan, keep records, maintain reports and analyze data with the help of the Retail POS billing software or the POS system. It helps a lot! You can also keep track of the customers, and also you can inform your customers, receive feedback, and it will surely enhance your business and your overall business strategy. It helps in improving the customer service, and it is a based customer system. The POS system or POS software improves the logistics of any item or even for that matter managing the order of food and beverage. It handles everything starting from the time to completing orders, to specific customer requests. This regulates the communication and the coordination between the staff and the customers in a well-mannered way. It improves the level of customer servicing, which will automatically result in satisfied customers to repeat the purchases from the same retailer. Technology is beneficial if you use it correctly. Not just this, the data you are collecting will keep you in touch with your valuable customers, their habits and their preferences. With the proper feedback, you can quickly know where you’re lacking, and you will get a room for improvement too. Every employee is the backbone of any shop or the organization. The POS system keeps checking the efficiency of every company’s backbone. This helps in employee appraisal and awards as well. With the help of POS software, you can review the capabilities and the abilities of each employee and reward them for the growth of the company. Any staff is what who make or break the whole system and the organization. Reward your employees properly according to their efficiency; it doesn’t matter if you have a small shop or a multinational company. POS system or the software helps a lot in everything. Hence, it is now up to you, that which one you would choose to use according to your budget and other needs. The ability to deliver a superior service quality has been recognized as a precondition for success and endurance in an online environment including a POS system. This achievement is said to be, openly, dependent on user contentment and, indirectly, a result of the quality of service and value conveyed. So, as the retail businesses accept the integration of brick-and-mortar and digital experiences they must renovate their customer engagement models to an Omni-channel strategic approach.